Here is a recipe book full of sugary goodness...... This is NOT diabetic friendly ! 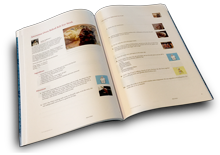 Yuo picked one of my best recipes to include in this nice cookbook.!! Thank you for adding my s'mores recipe in your book....there are a lot of great recipes in it....I am honored to be included among them!